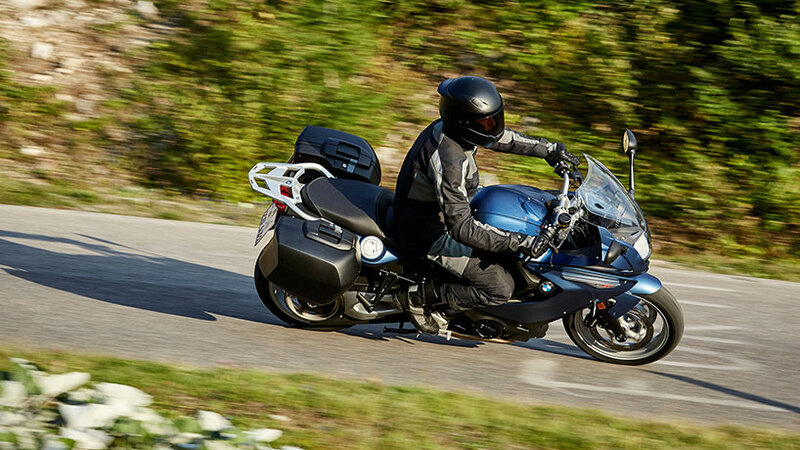 Automatic Stability Control is a meaningful, additional assistance function particularly on a high-torque motorcycle and when riding under varying conditions with slippery surfaces. Indeed, ASC is the logical counterpart to ABS. Automatic Stability Control prevents the rear wheel from spinning uncontrolled when accelerating all-out and thus avoids any loss of side forces and stability which otherwise would make the rear wheel swerve out of control. Lift-off detection and intervention serves furthermore to prevent the front wheel from moving up when accelerating under full power. Acting together, these two functions enhance riding stability and thus help to ensure a higher standard of safety on the road. Like ABS, ASC is naturally also subject to certain restrictions in bends due to the riding physics of a motorcycle. And it is essential to note that ASC is not able to push forward, let alone override, the physical limits to the stability of a motorcycle when leaning over in a bend. In its basic principles, the system and its various functions are quite straight forward: The ABS wheel sensors determine the speed at which the wheels are turning. Registering any sudden change in the difference in speed front-to-rear, the electronic control unit is able to detect any risk of the rear wheel spinning, engine management responding immediately by intervening in the ignition angle to take back engine power. Should this not be sufficient, that is should a greater reduction of engine power be required, fuel injection will be cancelled out for a certain time. When a driver encounters poor driving conditions such as wet or uneven surfaces, ASC can be a lifesaver. It will improve your stability and is another valuable safety system produced by BMW. If you do however want a little more slip in your tires, the system can be switched off. This can be done by simply pressing a button, and even while traveling. 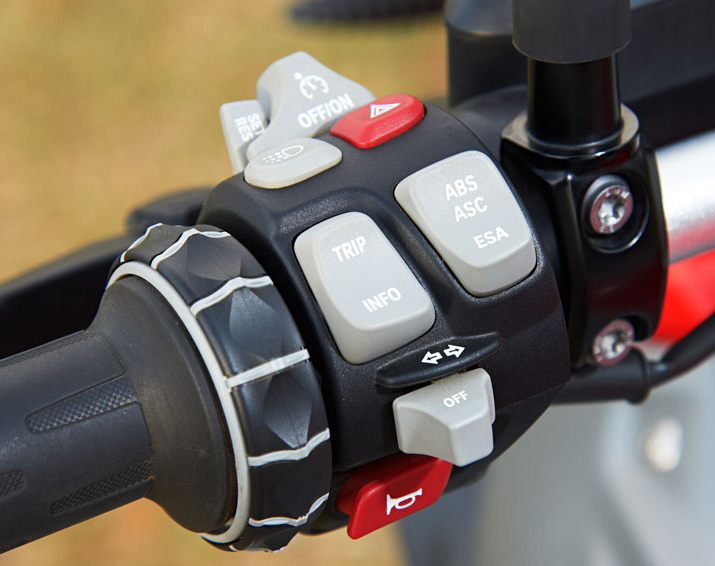 This kind of control and management is fast and sensitive, with any effects on riding comfort and dynamics being virtually negligible.